Tavern Vinegar - Tavern Vinegar Co. is a new Columbus-based artisan vinegar business and a joint venture between Cleveland chef Jonathon Sawyer and Columbus’ Middle West Spirits. The chef instinctively began making vinegar from opened wine that went un-drunk and saw the opportunity to create a quality local product. The barrel-aged vinegar is sold in 200 ml flask-style bottles and comes in a variety of flavors such as craft beer vinegar, Riesling vinegar, chardonnay vinegar, and stout beer vinegar. Prices are $9.99 or $12.99 depending on the variety. Jeni’s Splendid Holiday Pint Collection – The most delicious way to enjoy the season! The holiday pint collection features four holiday favorites that all of your friends and family will love. The collection includes: Middle West whiskey eggnog which is based on an heirloom recipe from Jeni’s grandfather. Grass-grazed cream and egg yolk custard spiked with Middle West Spirits’ micro-distilled bourbon whiskey, Michelone Reserve, and scented with winter spices. Sweet potato with torched marshmallows is pulverized roasted sweet potatoes blended into grass-grazed cream with red-hot Vietnamese cinnamon and studded with made-from-scratch blow torched marshmallows. And last but not least the Cinderella pumpkin which is roasted and caramelized Cinderella pumpkins, brown sugar, warm spices, and grass-grazed cream. The collection is $48. Each individual pint $12. Harvest Pizzeria’s Frozen Pizzas – Enjoy Harvest Pizzeria’s delicious pizza from your own kitchen. Look for Harvest Pizzeria in the frozen aisle at The Hills Market in North Columbus and Downtown, Weiland’s Market in Clintonville and Huffman’s Market in Upper Arlingtion. Watch this quick video to see what Harvest is all about. North Market Spices – Make sure to make a pit stop at the northwest corner of the historic North Market to taste and smell all of their homemade spices! The cayenne pepper is one of their most popular spices because of the extra special kick it adds to a dish. Not a fan of an overly fiery cuisine? Try out the mild and hot southern BBQ rubs! These two rubs have a variety of spices using paprika as the base with brown sugar, granulated sugar, cumin, chili powders of various kinds, garlic, ground black pepper, kosher salt and garlic. Another yummy gift idea that is perfect for the season is North Market Spices’ house hot cocoa mix for $7.99, which includes a blend of cocoa powder, powdered milk, sugar, cayenne and cinnamon. North Market Cookbook - A must have gift this holiday season is the North Market Cookbook: Recipes and Stories from Columbus, Ohio&apos;s Historic Public Market. 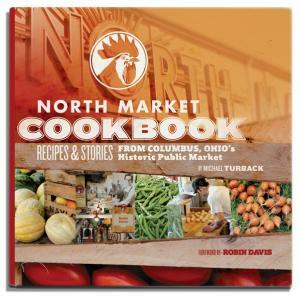 The North Market Cookbook celebrates the food, the people, and the mission of Columbus, historic public market. 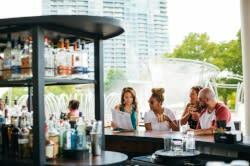 Readers will be able to re-create many of the stand-in-line offerings and farmstead-inspired dishes that showcase the bounty and enterprise of the city and the region. With vivid photographs that bring the city’s oldest tradition to life, The North Market Cookbook is a timeless treasure. The cookbook is $22.95. Order online or buy at store.